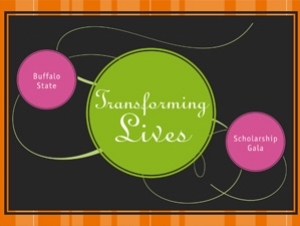 SUNY Buffalo State will host the 17th annual Foundation Scholarship Gala on Saturday, April 26, in the college’s newly renovated Campbell Student Union Social Hall. Festivities begin at 6:00 p.m. with cocktails and hors d’oeuvres, followed by a multicourse gourmet dinner at 7:30 p.m., live entertainment, and an auction. Proceeds from the gala provide scholarships to students enrolled in Buffalo State’s prestigious Muriel A. Howard Honors Program. Established in 1984, the honors program currently enrolls more than 200 students who engage in special seminars; receive individual attention from dedicated, highly qualified faculty members; are rewarded with opportunities for applied internships, research, and awards; and have access to their own residence hall and lounge. The gala has helped to raise more than $3 million in scholarship funds for students in the honors program since the fundraiser began in 1998. 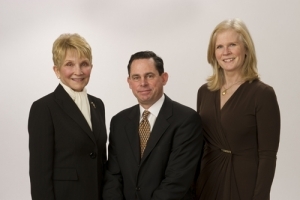 This year's gala leadership team (pictured, L-R) includes chair Dorothy Ferguson, along with co-chairs Paul J. Lamparelli, ’82, and Gretchen Fierle. Presenting sponsors are BlueCross BlueShield of Western New York, Larkin Development Group, LP Ciminelli, M&T Bank, and Russell’s Steaks, Chops and More. WGRZ-TV anchor Maryalice Demler will serve as the gala’s emcee. Live auction items include an overnight getaway to Toronto with two tickets to see Michael Bublé in concert; an overnight staycation package with tickets to see the Buffalo Bills take on the Green Bay Packers at Ralph Wilson Stadium; and more.